A Covent Garden Gilflurt's Guide to Life: The Crown Spire is Free This Week! The Crown Spire is Free This Week! 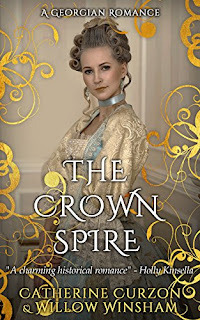 The Crown Spire, a tale of intrigue, highwaymen and adventure set in 18th century Edinburgh is available free until Friday! Get it from Amazon US, Amazon UK or your national Amazon link! If you prefer a hardcopy, the paperback is now available from Amazon UK and Amazon US! Thank you so much. I can't wait to read. A less than charming prospect?